Our caring team of dedicated vision professionals is committed to enhancing the quality of life of our patients and community. An Optomap� Retinal Exam provides early detection for diseases that affect not only your eyes, but also your overall health. 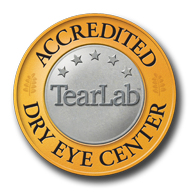 We have recently become an Accredited Dry Eye Center! Please visit www.allaboutdryeye.com to learn more about dry eye disease. We are pleased to inform you that during your next visit to Pinnacle Eye Group (Lambertville office), you will experience the benefits of the latest technology in eye exams � the Optomap� Retinal Exam. The Optomap will produce the most comprehensive image of your retina, and allow us to perform a more thorough exam than was previously possible. The result is that we can better prevent or reduce vision loss in our patients with a simple, quick and patient-friendly new exam. The Optomap is made possible by using a new technology � the Panoramic200� Retinal Imaging System. The Optomap enables us to see nearly all of your retina. Furthermore, it eliminates the discomfort and inconvenience associated with pupil dilation. As a result, you will not experience blurred vision or sensitivity to light following your eye exam. It is important to note however, that should any abnormalities be detected or if we cannot obtain an acceptable image, dilation may be necessary. We will be discussing this revolutionary exam with you further at your next appointment. Here at Pinnacle Eye Group (Lambertville office), we are dedicated to offering our patients the best eye care possible, and acquiring the tools to help us do so. We look forward to seeing you during your next visit � and providing the most comprehensive and advanced vision care available.